Stop by Barr’s Fiddle Shop in downtown Galax, Va., and, likely as not, you’ll find yourself in the midst of an impromptu jam session. If you’re lucky, you’ll even get pulled out on the dance floor for a bit of flatfooting. Fiddle, banjo, guitar, dulcimer, upright bass, mandolin—the Appalachian string musicians bounce cadence and key off each other to create something all their own. Even if you’re new to the town and the music, you feel like you’ve just come home. 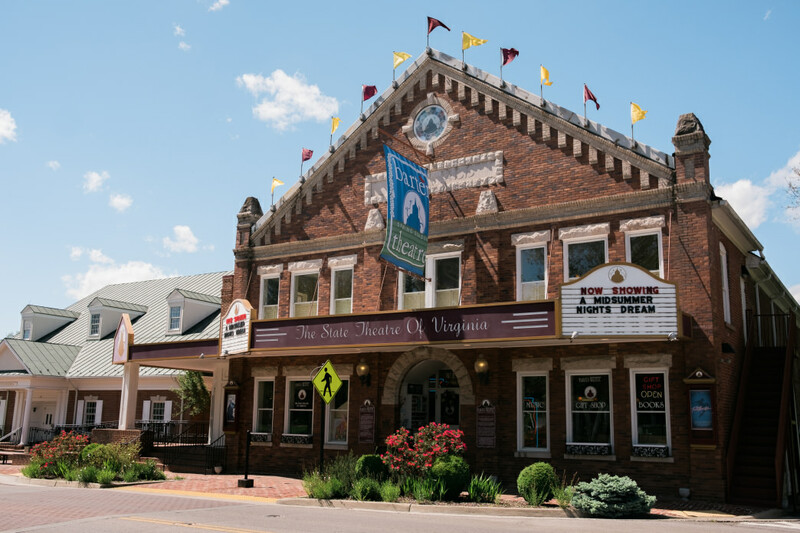 Jams have been both entertainment and fellowship on main streets across Southwest Virginia since mountain, or old time music’s inception in the 1920s and ’30s. The Crooked Road Heritage Music Trail, which travels 300 miles through Southwest Virginia, tells the story of how it evolved, what it means to the region, and its impact on music today. It’s both a window on the rich heritage and long-standing traditions of Appalachia and a way for communities to instill hometown pride and a sense of place in future generations. Hop on and off The Crooked Road as it travels through 19 counties, four cities, and 54 towns to visit nine major venues and 60-plus festivals, shops, events, workshops, and other music-related attractions. An additional 26 roadside exhibits are scattered throughout the region. Whether you journey from end to end or stumble upon it on your way to the trailhead, your appreciation for the beauty and people of the region will be deeper for having found it. Nine major venues along The Crooked Road take you on a journey through the colorful history of old-time music. On the trail’s easternmost tip, the Blue Ridge Institute & Museum celebrates the region’s music, crafts, food, and art. The working 1800s farmstead features live performances at the annual October folklife festival, which traces old time music’s roots from Anglo-Irish and African-American immigrants to blues, bluegrass, and gospel music today. Weekly music jams at Floyd Country Store and County Sales pack the house for old-time, gospel, and bluegrass with a side of pulled pork and hand-dipped ice cream for good measure. Around the corner, County Sales stocks one of the largest collections of old time and bluegrass music in the world. You can even take guitar, banjo, and dobro lessons at the Handmade Music School. 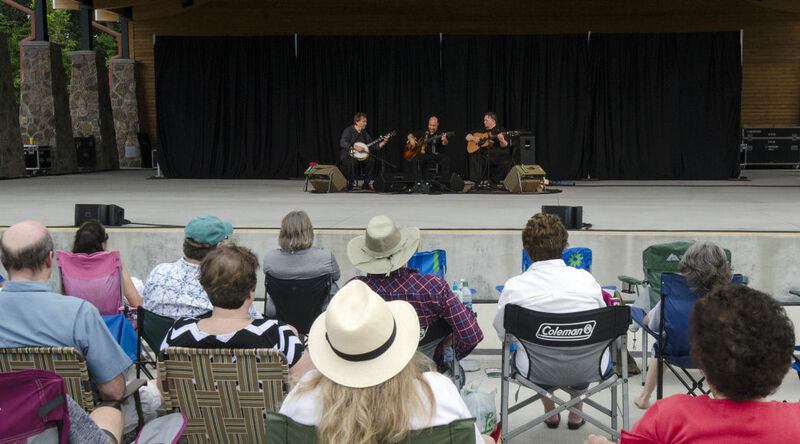 Kick back and relax at the Blue Ridge Music Center’s outdoor jam sessions and evening concerts just off the Blue Ridge Parkway. You can even learn the percussive art of flatfooting during some performances. Compelling personal vignettes illustrate mountain music’s impact on generations of Appalachian families at the Roots of American Music Museum. Visit Galax in August for the annual Old Fiddlers Convention. First held in 1935, it’s the world’s largest and oldest fiddlers convention, drawing more than 60,000 mountain-music lovers for a week of dawn to dusk jamming. Celebrities harmonize with amateurs and young and old compete in old time, folk, and bluegrass music and dance competitions. The rest of the year, Galax is home to the historic Rex Theater, where live bluegrass and old-time band performances are broadcast across the Internet every Friday night. Thursday evenings are jam night at Heartwood, Southwest Virginia’s hub for regional arts and culture, located in Abingdon, VA. Enjoy live music, local wines, and a farm-to-fork dinner at Heartwood’s restaurant and coffee and wine bar. Exhibits showcase southwest Virginia’s crafts, music, culture, and outdoor recreation. Bristol’s Birthplace of Country Music transports you back to 1927, when recording sessions by music legends Jimmie Rodgers, the Carter family, and others brought country music to the masses and launched the genre. A museum, workshops, and live performances bring the "Bristol Sessions" to life and the annual Rhythm and Roots Reunion packs downtown Bristol with live music on 20 stages in September. Saturday night feels like homecoming at the Carter Family Fold in Hiltons. Descendents of country legends A.P., Sara, and Maybelle Carter carry on the family’s musical traditions on their homestead at the foot of Clinch Mountain, with live mountain music, clogging, flatfooting, and homemade snacks. 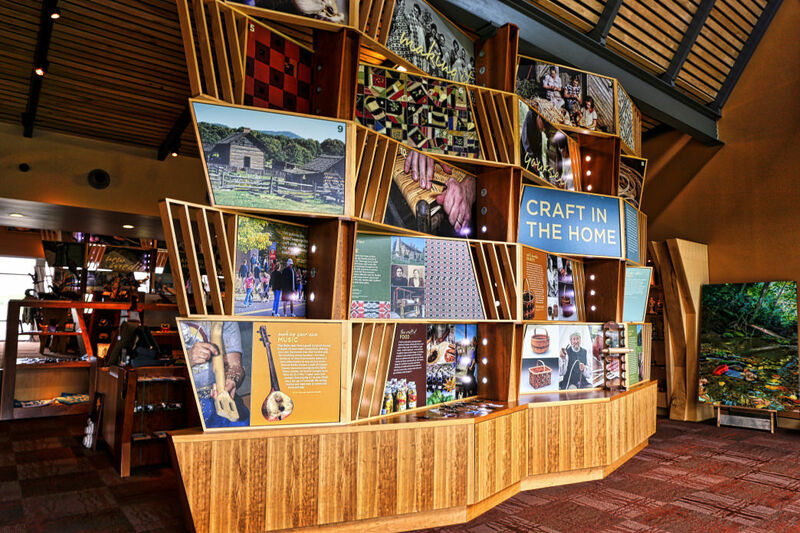 While you’re there, tour the Carter Family Museum and A.P. Carter’s log cabin birthplace for a glimpse into the early years of old-time music. Saturday nights are also jamming at the Country Cabin II in Norton. Why the II you ask? The original cabin, built in 1937-38, was replaced in 2002 with a larger cabin—cabin II—to hold ever-growing crowds for clogging, two stepping and line-dancing classes. Along with weekly bluegrass, country, and old-time music performances, jam sessions, picking workshops, cake walks (dance contest) and broom dances (traditional Irish dance) are all part of the fun. A large, four-story Victorian homestead on the western end of The Crooked Road in Clintwood houses the Ralph Stanley Museum and Traditional Mountain Music Center. A vet by trade, Dr. Stanley’s "Stanley-style" banjo riffs solidified his place in mountain music history. Vintage instruments and exhibits, with audio narrated by Ralph Stanley himself, take you back to the ’40s and ‘50s when the Clinch Mountain Boys made their mark on the Appalachian music scene. Regular jam sessions and live performances continue to be a centerpiece of the community across southwest Virginia. Abingdon’s Barter Theatre, in operation since the Great Depression, is the place to see bluegrass legends and rising stars perform intimate concerts throughout the month of January through the January Jams series. At historic Lays Hardware in Coeburn, live bluegrass and mountain music are on tap Thursday and Friday nights all year long. Travel back to the 20’s and 30’s at the Lincoln Theater’s Song of the Mountains, a monthly live concert in Marion. Hit the dance floor at the monthly Blacksburg Square Dance and Blacksburg Market Square Jam, where locals will be more than happy to show you how to swing your partner and do-si-do. While The Crooked Road is open 365 days a year, check out these annual events for maximum music: the nine-day, 25-community Mountains of Music Homecoming; Smith Mountain Lake’s Lyrics on the Lake; local microbreweries and music at Mountain Lake Lodge’s BrewRidge Festival; and Wytheville’s eight-day Chautauqua Arts & Music Festival.